In its season 2 launch last Wednesday (May 30), ABC Family's original comedy Melissa & Joey ranked as cable's #1 program at 8 o’clock across its target females demos, Women 18-34 (409,000 viewers/1.2 rating), Women 18-49 (626,000 viewers/1.0 rating) and Females 12-34 (522,000 viewers/1.2 rating), and was the #2 cable program in the half-hour in Adults 18-34 (507,000 viewers/0.8 rating) and Viewers 12-34 (632,000 viewers/0.7 rating), behind only ESPN's highly rated NBA Playoff coverage, posting hefty gains over year-ago time period levels. Compared to its season 1B average, which aired last summer from June 29 to Sept. 14, Melissa & Joey's season 2 premiere surged by double-digit percentages in target demos, including by 14% in Total Viewers (1.21 million vs. 1.06 million), by 22% in Adults 18-34 (507,000 vs. 414,000), by 41% in Women 18-34 (409,000 vs. 290,000), by 36% in Adults 18-49 (832,000 vs. 610,000), by 43% in Women 18-49 (626,000 vs. 437,000) and by 22% in Females 12-34 (522,000 vs. 429,000). 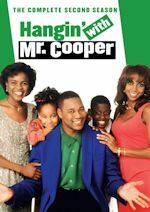 Compared to its summer premiere last year (June 29), the sitcom was up a tenth in adults 18-49 (0.6 to a 0.7 adults 18-49 rating). Melissa & Joey also soared over year-ago comparable time period levels (6/1/11 Pirates of the Caribbean: The Curse of the Black Pearl), including by more than double in Adults 18-34 (+116% - 507,000 vs. 235,000), Women 18-34 (+166% - 409,000 vs. 154,000), Women 18-49 (+123% - 626,000 vs. 281,000) and Females 12-34 (+125% - 522,000 vs. 232,000). 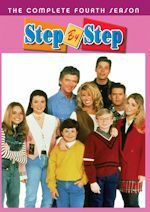 In the sitcom, Mel (Melissa Joan Hart), local politician and a former wild child, and Joe (Joey Lawrence), her down-on-his-luck "manny," continue to work together to raise Mel's teenaged niece Lennox (Taylor Spreitler) and nephew Ryder (Nick J. Robinson). 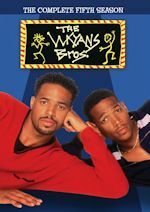 The sitcom is compared to past sitcoms such as Who's the Boss? and Charles in Charge. Back-to-back episodes will air once again this Wednesday (June 6) at 8:00 p.m. & 8:30 p.m. Come June 20, the sitcom will air regularly Wednesdays at 8:00 p.m. as new sitcom Baby Daddy starring Jean-Luc Bilodeau, Derek Theler, Tahj Mowry, Chelsea Kane and Melissa Peterman will air at 8:30 p.m. We've seen two episodes for review of that comedy and is well done and funny, so make sure you tune in! Moving on, we have two very sad news that happened this weekend. TV legend Richard Dawson and multiple Emmy-winner Kathryn Joosten both passed away. Next, Todd has the story and details the careers of these two memorable TV icons. English-born American actor, comedian, game show panelist and host Richard Dawson has died. He was best known for his role as Corporal Peter Newkirk on the sitcom Hogan's Heroes, being a panelist on Match Game on CBS from 1973-1978, and being the original host of Family Feud from 1976-1985 and 1994-1995. Dawson died from complications of esophageal cancer on June 2, at the Ronald Reagan UCLA Medical Center in Los Angeles. Mr. Dawson was 79. The Archive of American Television has a lengthy interview with him from December 1, 2010. Dawson is survived by his wife Gretchen Johnson and their daughter Shannon, as well as sons Mark and Gary from his first marriage to British actress Diana Dors. He also had five grandchildren: Lindsay Dors Dawson, Tyler Emm Dawson, Emma Rose Dawson, Walter "Melons" Dawson, and Lauren Dawson. We loved him as the host of Family Feud. It was appointment TV for many families during the height of its popularity. Those primetime specials with the casts of Three's Company, Barney Miller, The Jeffersons, WKRP in Cincinnati and Welcome Back, Kotter were classics. There have been many hosts of Family Feud over the years, but there was only one Richard Dawson. He was an amazing talent and true original. He will be deeply missed. We'll keep you posted on any GSN or other tributes. What are your favorite Richard Dawson memories? 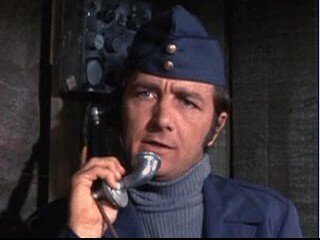 Discuss them on our Hogan's Heroes or Game Shows message board. 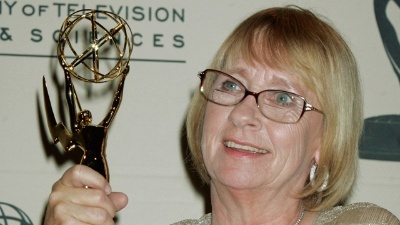 Character actress Kathryn Joosten, best known as the crotchety, nosy neighbor Karen McCluskey on Desperate Housewives and the president's secretary on The West Wing, has died. Joosten died of lung cancer on the morning of June 2 in Los Angeles. Ms. Joosten was 72. The Archive of American Television conducted an interview with her on May 9, 2012. She is survived by her two sons, Jonathan and Timothy, their wives Jeremy and Karissa, and two grandchildren, Jon Henry and Evan. 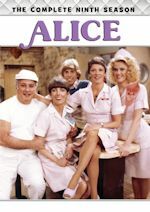 Ms. Joosten got a bit of a late start in acting at the age of 42, but she made the most of it with many notable television roles. We loved her on Desperate Housewives. She played such a fun and memorable character who added so much to the show and stole many scenes with her humor. It was very courageous of her to bring her battle with lung cancer to the public and to the show to bring more awareness to the disease. She will be deeply missed. What are your favorite Kathryn Joosten roles? Discuss them on our message board.